120 Steel Universal Panel System Including Plywood, no Pre-assembly of the system required. Mainly Used for all types of walls such as Shear walls, Core walls as well as for various sizes of Columns for Various heights. The 120 Steel Universal Panel System is a Steel framed Panel System, which is ready for use and very rugged. The 3.30m, 2.70m and 1.20m panels have various widths from 0.30m to 2.4m with 0.05m or 0.15m intervals the panel width size can apply with all application efficiency. All 120 Steel Universal Panel System are based on cold roll-forming profile for the edges. Theses edge profile is prepared with a special shaping on the inside that allows application of the alignment Couple. The holes are provided in the vertical edge profiles exact alignment of the erected panel is made possible through the recess of the edge profile by using a crowbar (or nail-remover). The 18mm thick plywood sheet is supported by eight or ten intermediate bars of equal design. They also offer numerous possibilities for the attachment of 120 Steel Universal Panel System accessories. 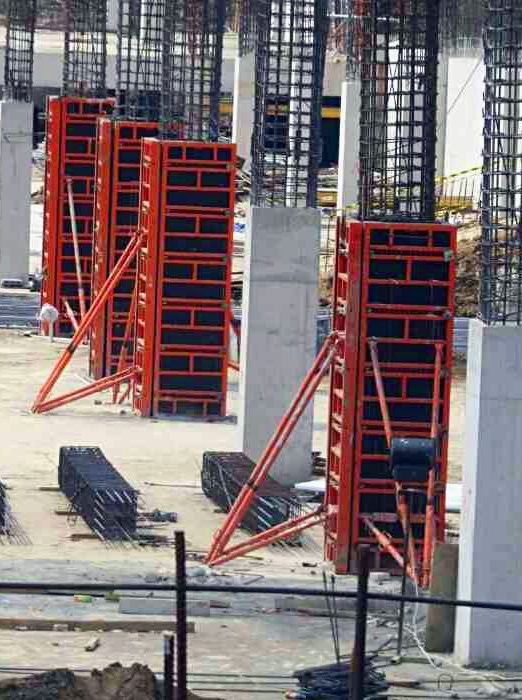 The Steel frame of the 120 Universal Panel System is completely painted. All the panels can be combined in the various ways, lying on their sides or standing upright. They can also be installed in a staggered arrangement as their interconnection is independent of any dimension modules. 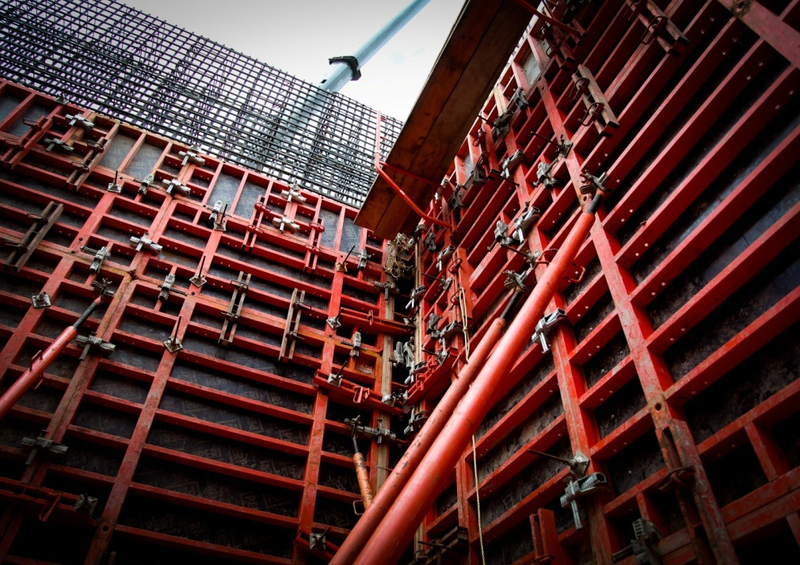 A panel depth of 12cm guarantees good load-bearing capacity (70 KN/ m2) So that a Single-Story formwork of 2.70 and 3.30 meters height, concrete pressure and rate of concrete placing need not be taken into consideration. The 18mm thick plywood is glued 7-fold and when casting against masonry walls.